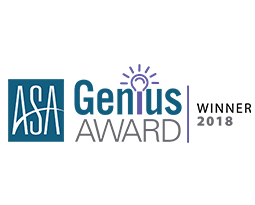 CHICAGO, IL – SEPTEMBER 11, 2018 – Advanced Resources, a talent solutions organization, has won a 2018 American Staffing Association (ASA) Genius Award for their inbound marketing campaign on flexible workforce strategies. The ASA Genius Awards recognize the best communications and marketing campaigns among ASA member companies based on originality and innovativeness of approach and effectiveness based on outcomes. The objective of the winning campaign was to use the inbound marketing methodology and content strategy to position Advanced Resources as a workforce solutions provider as opposed to a traditional staffing firm, ultimately generating leads for the business development team. The content strategy centered on developing high-quality pieces for how organizations can develop high-performing teams despite the current talent shortage by focusing on three core areas: talent shortage, employee retention, and flexible workforce.